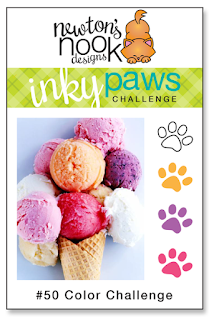 Have you had a chance to make a card for our latest Inky Paws Challenge? Today I'm sharing some more inspiration for our Color Challenge! Here's a refresher of the challenge - the colors are white, melon, grape, and strawberry. Diane creates a tropical paradise using Paradise Palms. Just love the subtle palm trees on the white background! Beautiful! Emily's sweet baby card featuring Winged Wishes (retiring--be sure to grab your set before it's too late) would be perfect to welcome any baby girl! 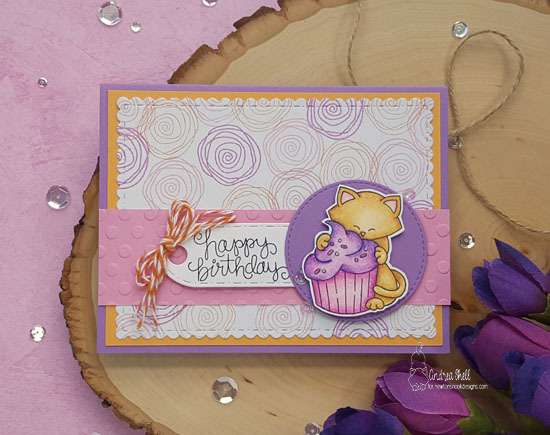 Andrea inks a beautiful background to compliment Newton from Newton Loves Cake as he enjoys a scrumptious birthday cupcake! 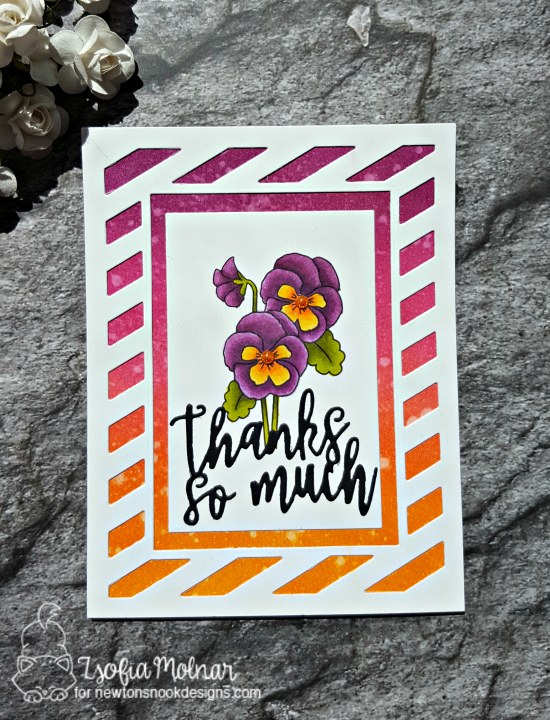 Zsofia has created this amazingly vibrant card using Flower Garden (retiring--be sure to grab your set before they are gone). Striking! 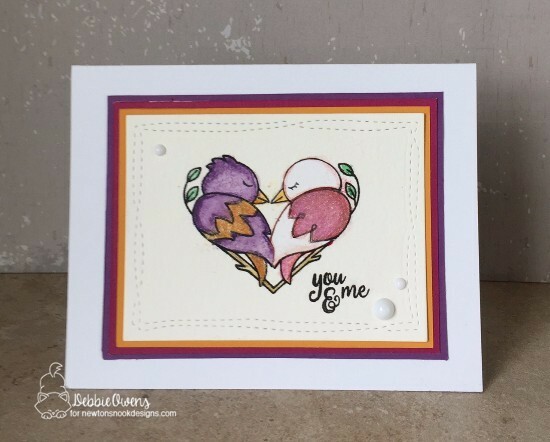 Debbie uses Darling Duos to create a sweet, romantic card. I hope this project has inspired you to play along! Remember, you have until this Friday, July 14, 2017 to enter. There's a prize involved too, so don't delay - view all the entries and see more inspiration on our inky paws Challenge here.